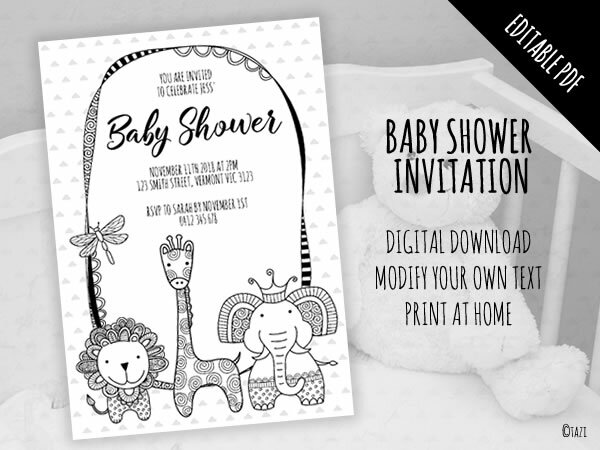 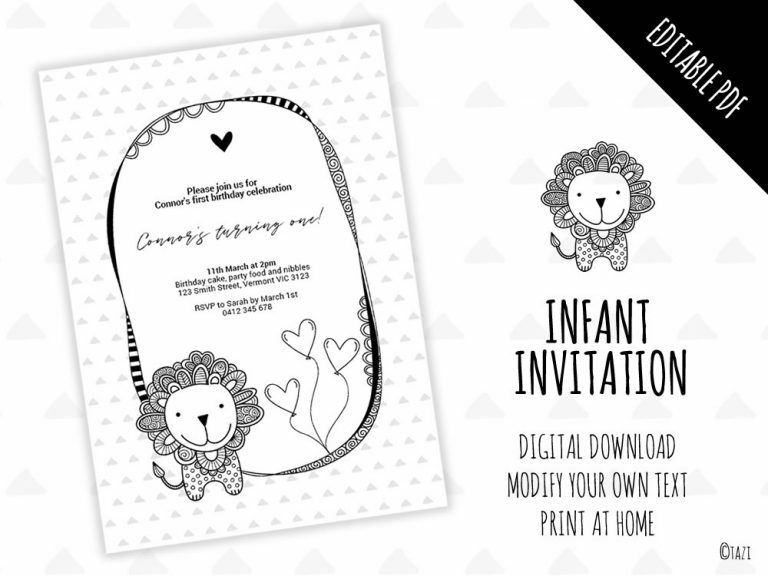 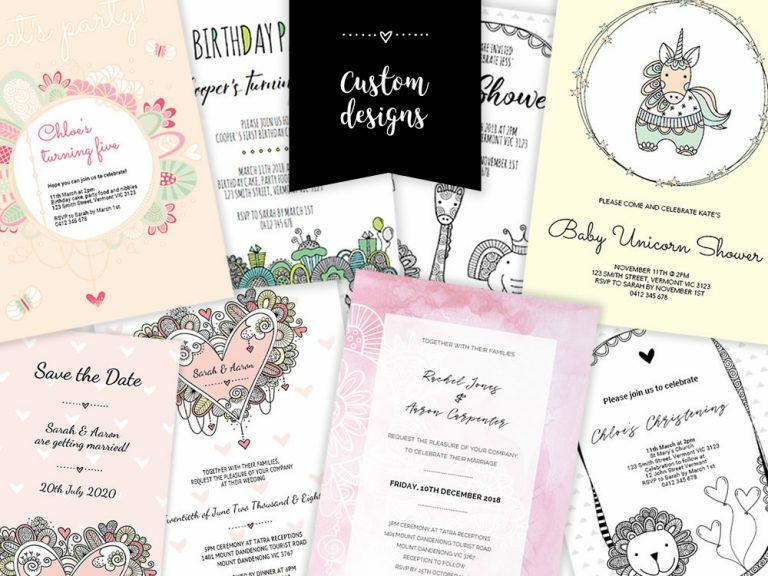 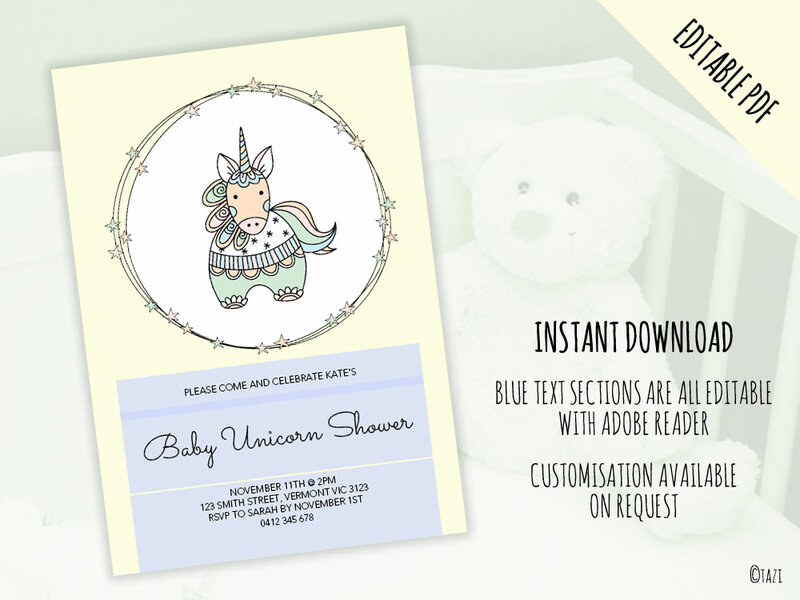 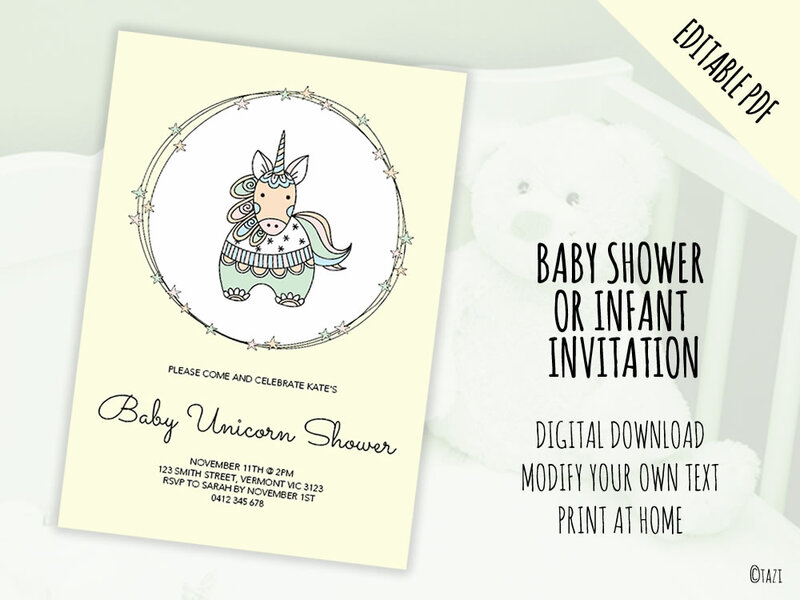 ❤ This gorgeous unicorn invitation is both modern and cute and perfect for a baby shower, christening or infant birthday, just change the words to suit. 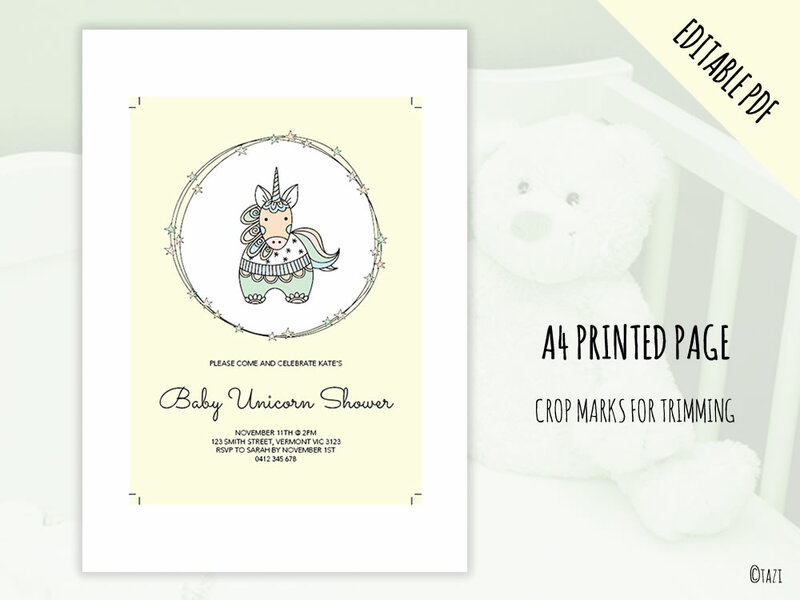 There are also matching gifts and products available. 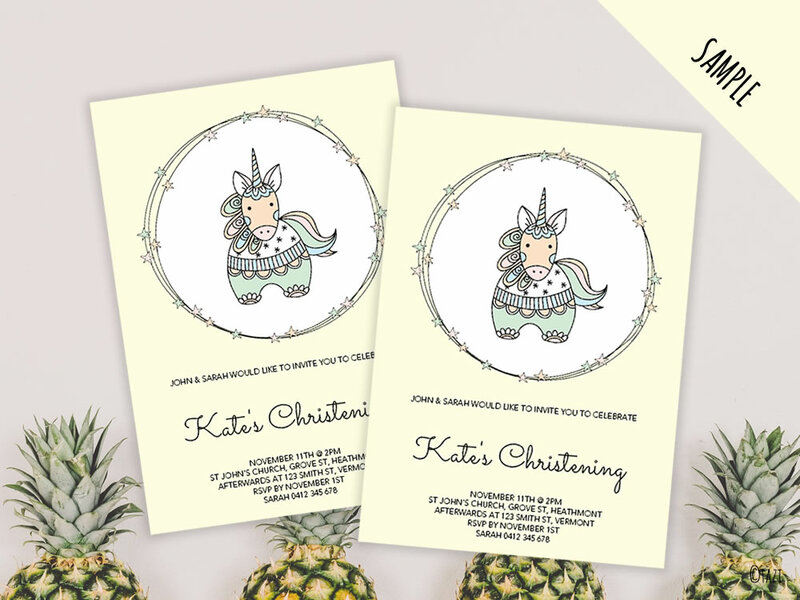 Did you know there is a whole range of products with the gelati unicorn artwork to match the invitation?